Born and raised in Southern CA, Anna began playing cello at the age of 8 after participating in a summer strings camp. 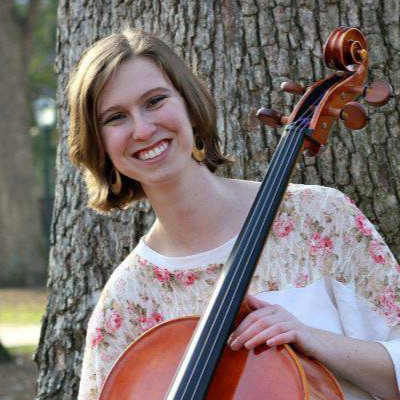 Anna is a proud alum of the University of North Carolina at Chapel Hill, where she graduated with a double degree in Cello Performance and Music Education. In her time at UNC, Anna co-founded the Kaleidoscope String Quartet, as well as performed with the UNC Symphony Orchestra and the Chapel Hill Contemporary Music Ensemble. In addition to performing, Anna continued to pursue her passion for music education, teaching private lessons and completing her student teaching at Phillips Middle School in Chapel Hill. Over the past three years, Anna has greatly enjoyed teaching public school orchestra in Rocky Mount, Nashville, and Burlington, NC. Her more than 450 orchestra students have participated in many events and festivals, including the Junior Western Regional Orchestra, the Guilford County Strings Festival, and the Festival of Music at Busch Gardens and Kings Dominion. In addition to her internship with El Sistema USA, Anna currently works as the Site Manager with Kidznotes, an El Sistema inspired program in Durham, NC, as well as maintains a private teaching studio at her home in Mebane. In her free time, Anna volunteers with the local animal shelter and regularly fosters dogs. She enjoys hiking, trying new recipes, and escaping in a good book on a rainy day.